Is South Africa ready for a feminist ethics of care approach to GM crop assessment? Jen Whittingham feeds back on her MPhil thesis work, with the working title: Exploring alternative paradigms towards assessing genetically modified (GM) crops in South Africa using a feminist ethics of care approach, to enable a more holistic and democratic approach to GMO assessment. 1. Investigate and describe the current risk assessment procedure in South Africa and its historical evolution. 2. What concerns have arisen from this approach? 3. What does a feminist ethics of care approach look like in terms of GM crop assessment? 4. How appropriate is a feminist ethics of care approach in providing an alternative paradigm with which to assess GM crops in South Africa? My research consists primarily of semi-structured interviews. The participants were chosen based on their involvement with the assessment of GM crops. The aim of the interviews was to map who’s who and who does what within the assessment process of GM crops. I threw the net wide in terms of level of involvement because I know that although decisions are made by the Executive Council for the GMO Act, I’m also aware that influence over these decisions occur outside of that group and comes from many directions, from a lot of different people involved at various points. The interview questions were based on themes that grew from the two opposing paradigms that I am investigating: science-based risk assessment and a feminist ethics of care approach. I divided the participants into four groups: Government, NGO, Academic/Researcher, and Farmer; each group was targeted with a set of questions based on the identified themes. My research so far has taken me to the North-West University in Potchefstroom where I spoke predominantly with natural scientists about their work and the role of academic research in the assessment process. I also interviewed representatives of Government in Pretoria, notably the Chair of the Executive Council for the GMO Act. Further to this, I visited GenØk at the University of Tromsø in Norway in order to provide me with a point of comparison. 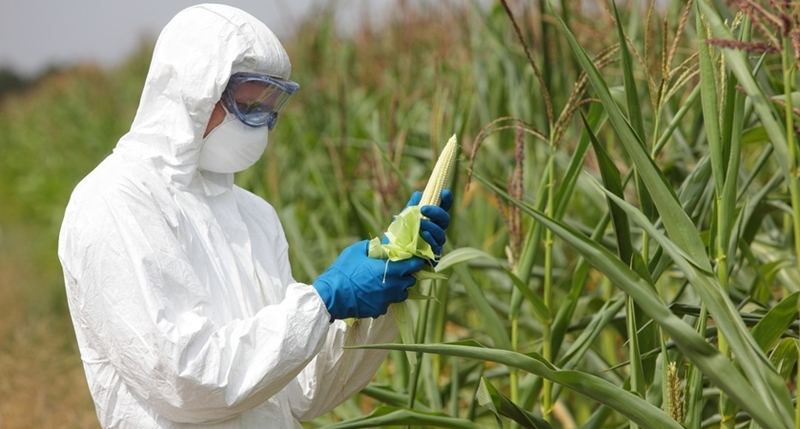 Norway takes a precautionary approach to GMO assessment and does not allow for GMO production and has yet to approve an application for the import of foodstuffs that include GMOs. This is in stark contrast to the approach of the South African government, and so gaining insight into their forms of regulation was very useful. I also spoke with food safety academics at the University of Sussex who have worked with GM crops in various contexts, this again allowed me to position research in South Africa in a global context. In the design stages of the research, I found it difficult to produce a coherent set of questions for participants who have vastly different backgrounds and knowledge sets. With my background in Humanities/Geography, communicating with natural scientists proved difficult — I have come to realise that we have been taught to speak different academic languages. The interviews were made up of different types of questions, simple questions requiring fairly straightforward descriptive answers, and more complex questions that required introspection and imagination. It was the latter that many found difficult to respond to. It emerged that the value system associated with a feminist ethics of care approach is not aligned with the prioritisation of the current economic growth path of South Africa. Further to this, the development of the approach emerged from a Western perspective and so does not prioritise the post-colonial, post-apartheid context of South Africa, which in my opinion needs to be at the centre of any alternative approach to GM crop risk assessment. Therefore, it is already clear that a feminist ethics of care approach to GM crop assessment is not appropriate at this time. However, a post-development paradigm, emerging from decolonial thinkers, whilst sharing many values with the care ethics approach, holds the issue of post-colonialism at its core and can therefore serve as a theoretical bridge to develop an analysis of the data that is rooted in a South African context. The interviews illuminated to me the need for the acknowledgement of the effect of the development narrative on agriculture in South Africa and how the GM technology narrative simultaneously uses and furthers the Western imperialist notions of development and progress – this will fortify the literature review element of the thesis.